The sale of a company requires a very carefully thought out process that must be extremely well organized, and as such, this process is company-specific and therefore unique. Consequently, there is no standard formula for selling a business. However, the sale process can be easily divided into a planning phase and an execution phase. The planning phase is very time-consuming and is designed to prepare the company optimally for the upcoming sale process. Thorough and detailed planning increases the likelihood of receiving positive feedback from potential buyers. The execution phase usually consists of an approach phase, due diligence, and a negotiation and closing phase. There are different things to consider at each stage of the sale process. It is important to recognize that the price paid is only one piece of a successful sale process. The terms of the deal (e.g. 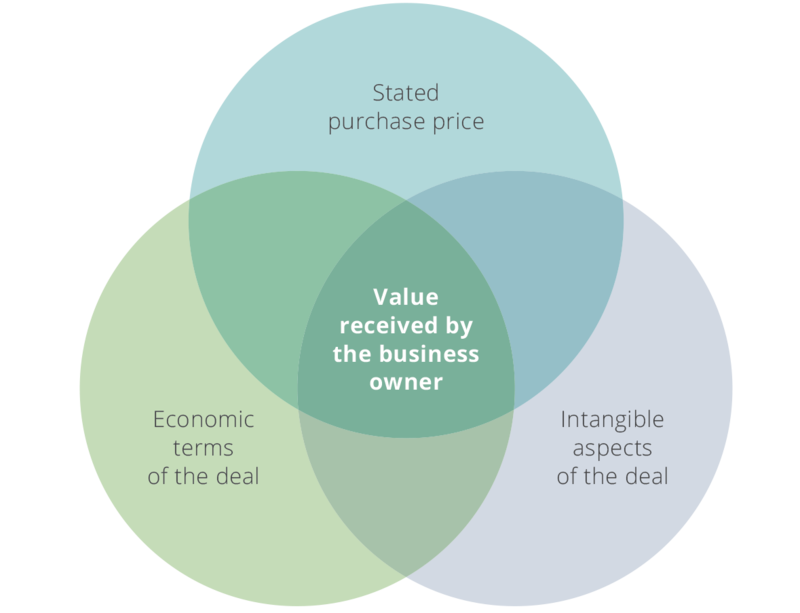 how, when and under what conditions the purchase price is paid) as well as intangible aspects, such as a non-competition agreement, are equally important to maximize the transaction value. How long does it take to reach a deal? Most buyers want the former owner to remain available for a certain period following the transaction to help facilitate the transition, anywhere from three months to five years. Their role could range from that of a part-time consultant to a full-time employee. The length and type of availability depends greatly on the business, the former business owner’s function as well as the buyer’s preferences. Simply put, it is important to establish a strong management team which is independent of the owner well before the sale. Other advisors, such as accountants, industry experts or business consultants, can be helpful in special situations during the sale process. Their role, responsibility and incentives should be clearly defined in an engagement letter. In most situations the management team and key employees must also be involved. In such cases it is important to carefully assess who needs to be involved and how this person should act towards staff who are not involved in the sale process. Moreover, these people need to be given the right incentives as possibly not everyone will view the sale in a positive light.